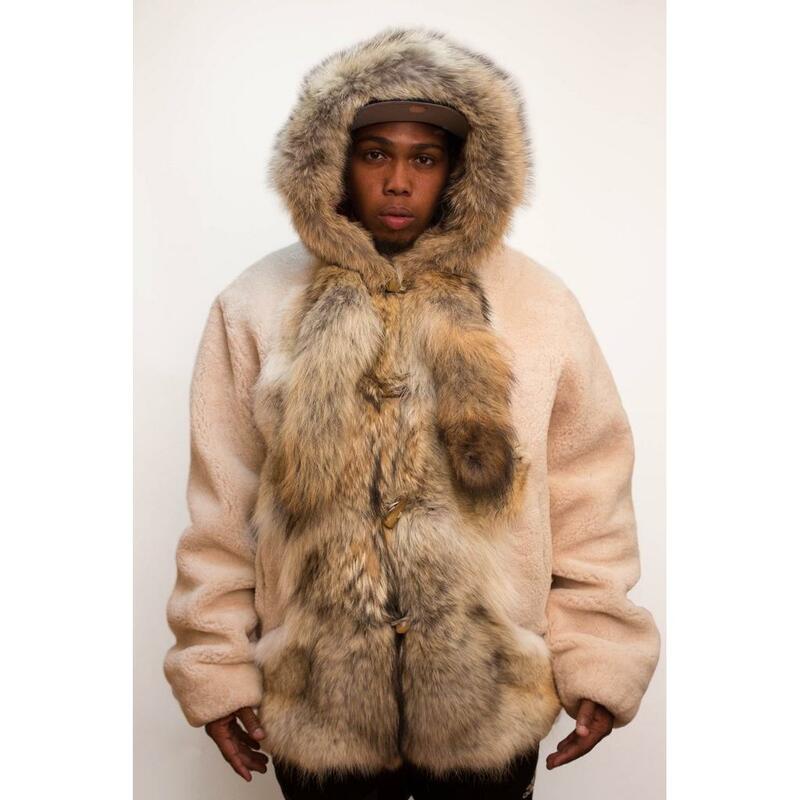 Home/ Shop By Brand/ G-Gator/ G-Gator Beige Genuine Sheepskin / Raccoon Fur Bomber Jacket With Hood 6800. G-Gator Beige Genuine Sheepskin / Raccoon Fur Bomber Jacket With Hood 6800. 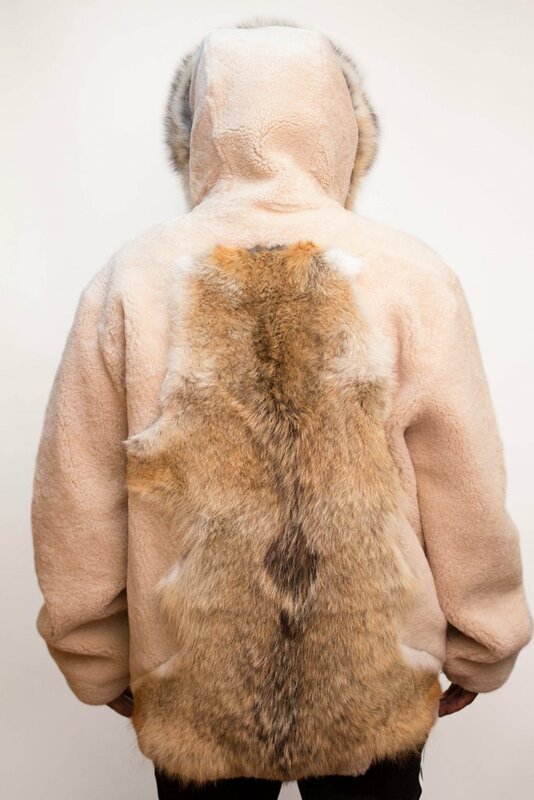 As seen on TV and in magazines, Upscale Menswear is proud to present this exclusive, custom made, exceptional quality genuine sheepskin / raccoon fur jacket. This jacket is handmade by one of the finest exotic skin jacket manufacturers, G-Gator. G-Gator offers sensational exotic skin jacket that are completely hand crafted and hand stitched in the USA. The inside is fully insulated for superior comfort and warmth. 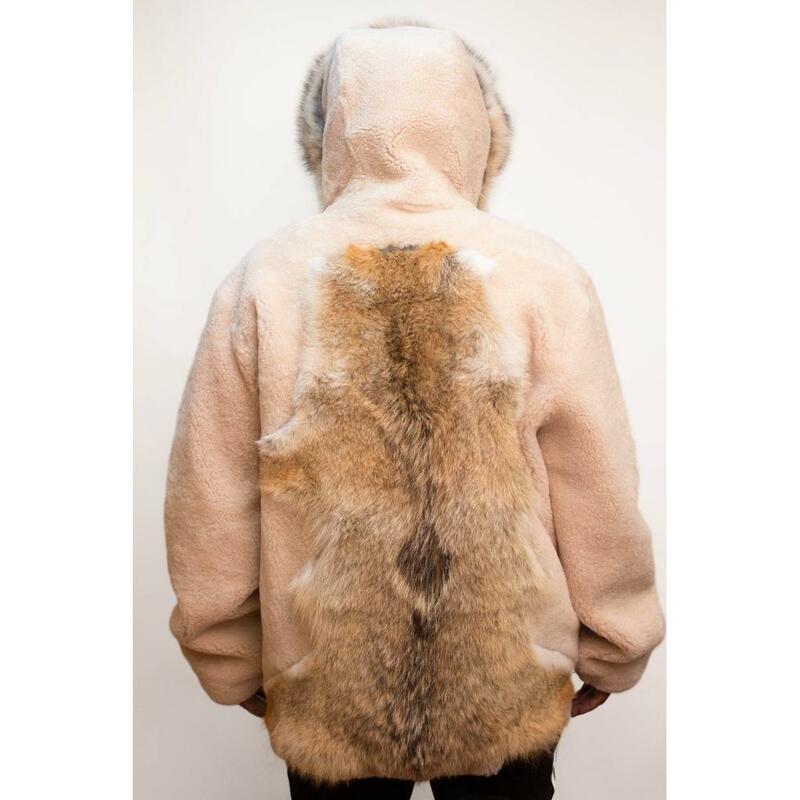 The exterior is made of genuine sheepskin, raccoon fur. The G-Gator's Custom Collection doesn't use the "painted-on" process to color this jacket like other manufacturers; instead, they use a special aniline process to dye the premium grade exotic skins so that the selected color permeates the skins thoroughly. The skins maintain its color for a lifetime and becomes more beautiful with age.